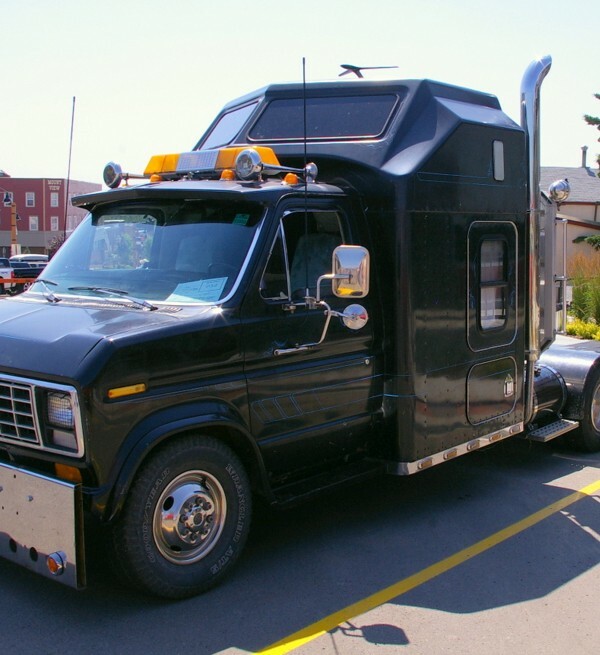 A 1986 Ford van with exhaust stacks, four dual rear wheels, and a fifth wheel set up to haul trailers is not a common sight. 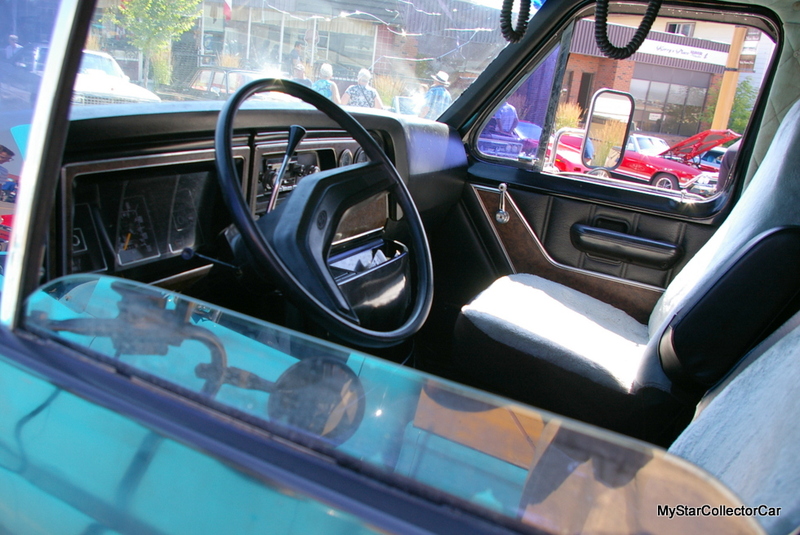 The Kenworth sleeper cab behind the driver’s seat in the Ford one-ton van helped to make the van’s conversion to a big rig more authentic. The front bumper is more heavy duty than the original Ford van’s and also owes its heritage to a big truck. The van drew plenty of attention at a show because it was unique in every way. 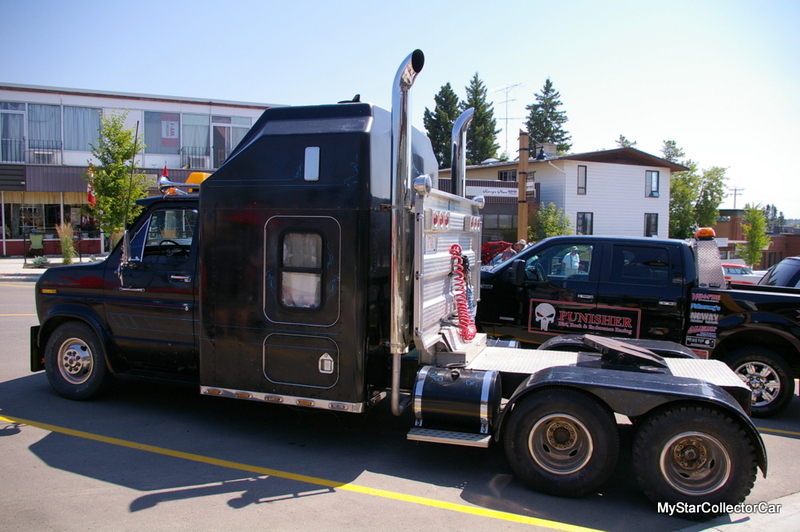 Ron Hoiland was its current owner and he was familiar with big rigs because he was a professional heavy hauler and spent plenty of time behind the wheel of a big truck. 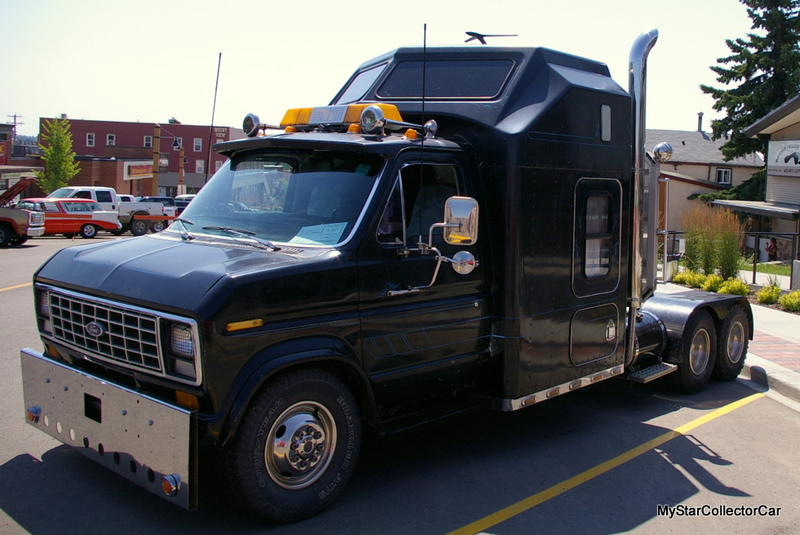 In fact, Ron was in the midst of a Dodge conversion project in which he changed a 1-ton truck into a big rig. The Ford van conversion was done by its previous owner, but it was an irresistible purchase for Ron. He noted that he “had to have it” when Ron first spotted it. The Ford van was also an incentive for Ron because it was road-worthy and he could take the van to shows. 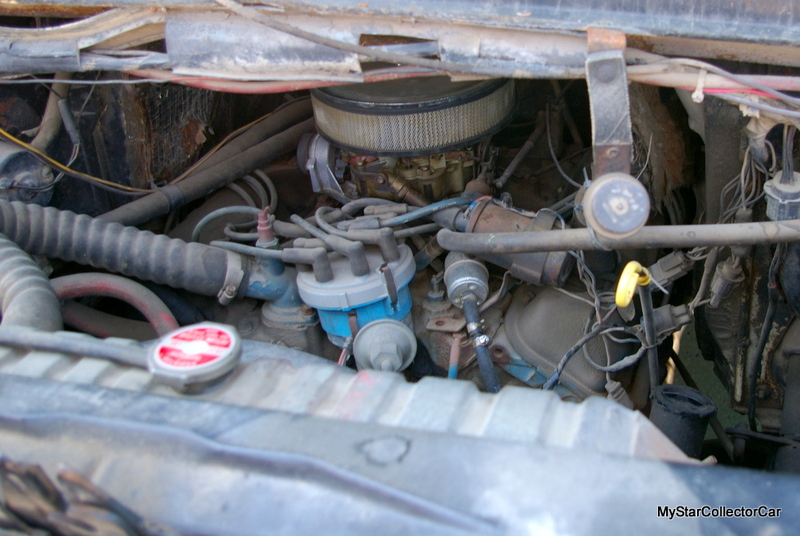 The Ford is powered by a 460 Lincoln big block engine and “runs nice”, according to Ron. 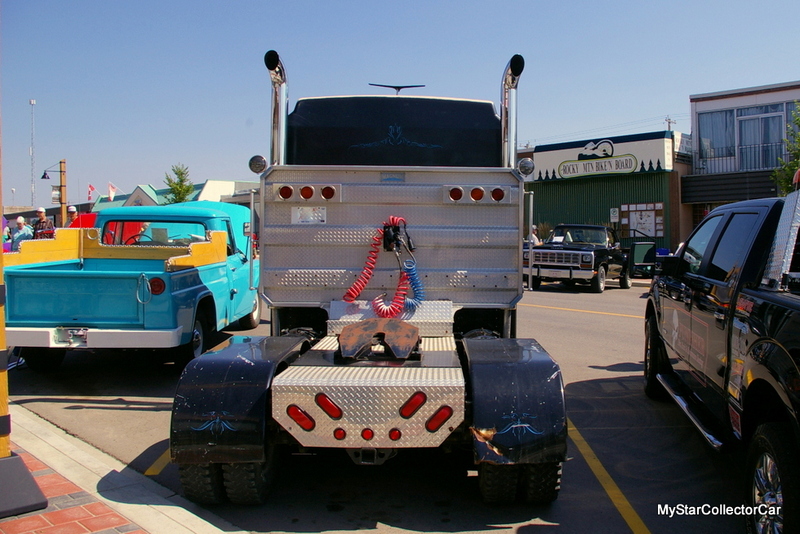 The converted van now has 6 sturdy leaf springs on the rear end and will even haul a regular big rig trailer, in Ron’s opinion. 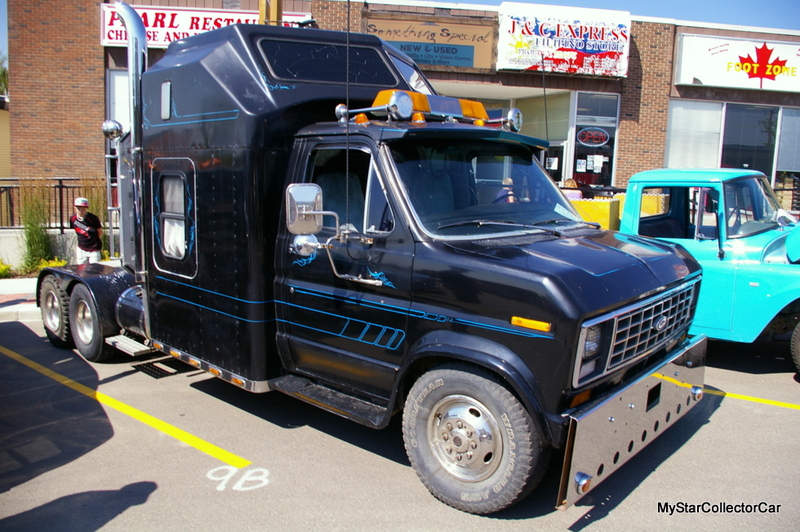 Ron enjoys the van and will use it to haul his family 5th wheel trailer until he completes his other project. Then Ron will decide whether the Ford van conversion will stay with him. 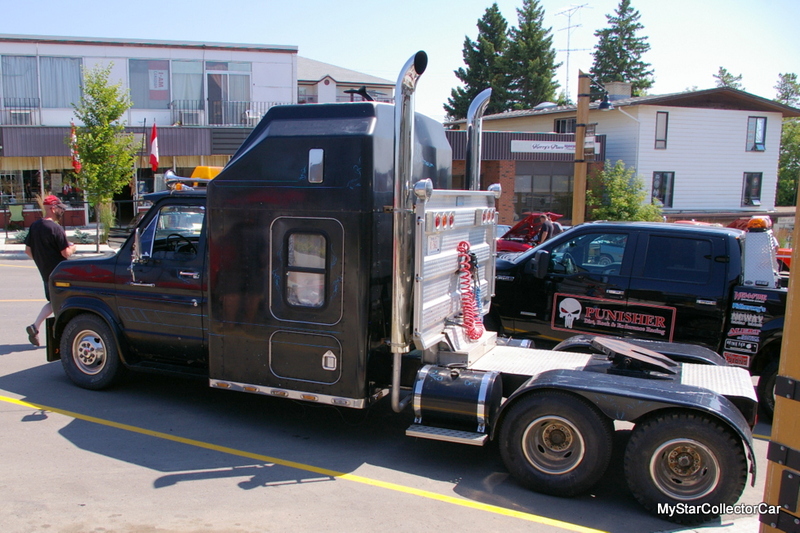 These days, Ron just enjoys the drive and said his Ford will clip along at about 110 km/h (a little over 70 mph) at about 2400 rpm without a load on back. The van still has its original hydraulic brakes and “stops pretty good”, according to Ron. 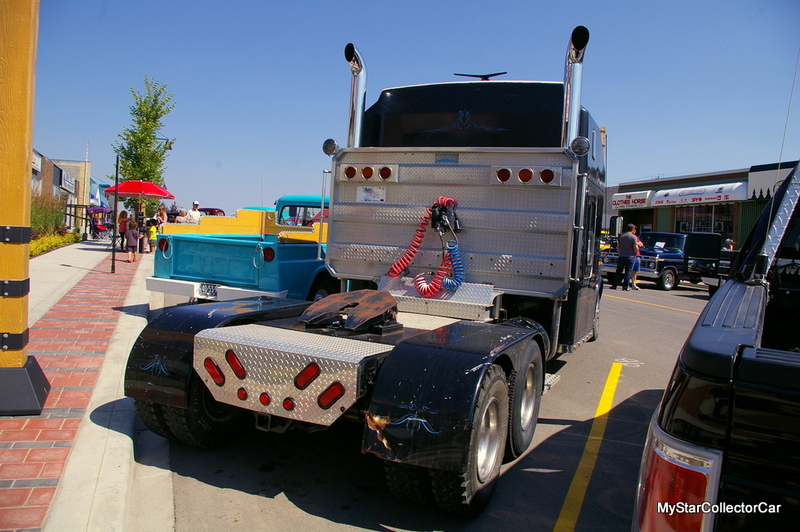 He attributes part of the stopping power to the extra axle on the back end because it also has brakes and more rubber on the pavement. The Ford van now sports two stylish gas tanks that look as though they belong on a big rig. The 60 liter (almost 16 US gallon) tanks may look like they haul diesel fuel, but they are actually gasoline tanks for the big block Lincoln engine in the van. Ron has winter plans for his truck. He wants to add air horns and a different exhaust system to his van/big rig during the months when the truck was in winter hibernation. 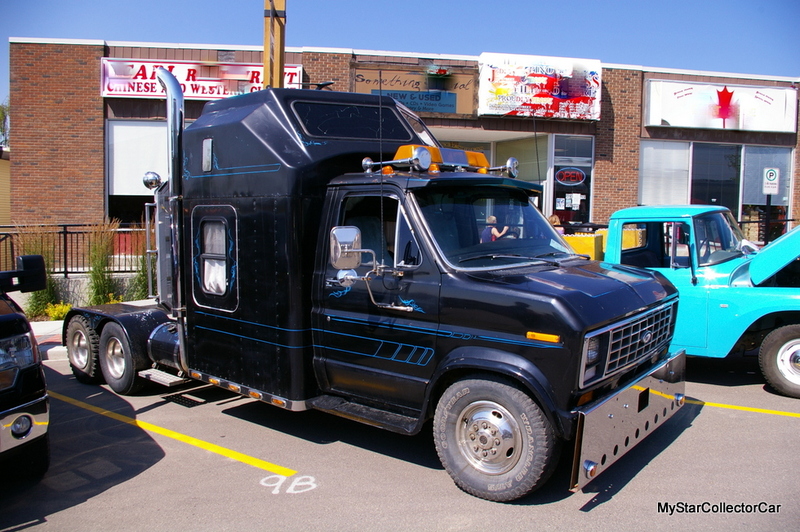 A 1986 Ford van may seem like an unusual platform for a heavy hauler truck, but this van looks like it belongs on the road as a big rig. 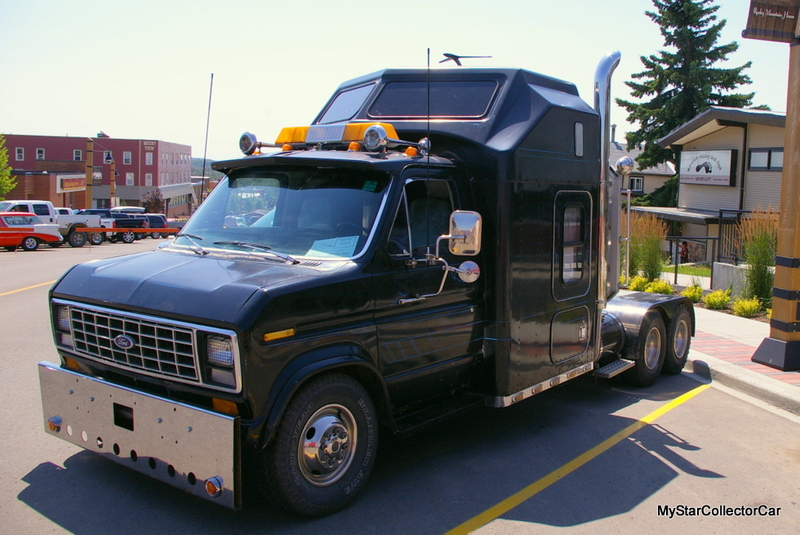 Ron assured MSCC that his Ford van conversion could also walk the walk, based on his professional assessment. MyStarCollectorCar’s best guess is the van stays with Ron for a long time.